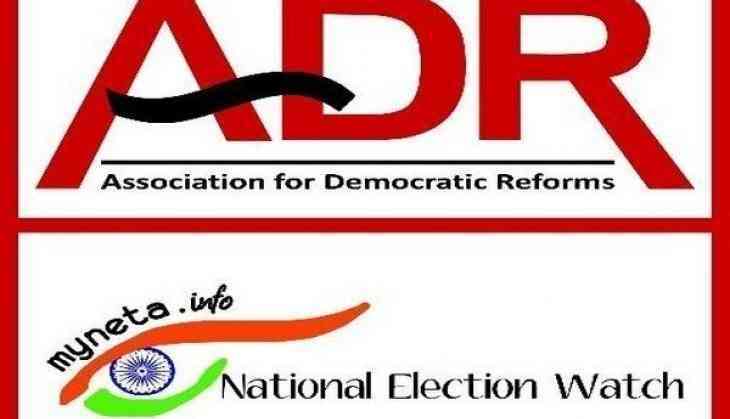 The Association for Democratic Reforms (ADR) and National Election Watch (NEW) on Wednesday revealed that a total of 58 MPs and MLAs have declared cases related to hate speech. The ADR and NEW have analysed the self- sworn affidavits of all sitting MPs and MLAs. The analysis reveals that many of the MPs and MLAs, who are designated lawmakers have actually declared cases related to 'hate speech' against themselves. This analysis is based on the affidavits submitted by the candidates and MPs and MLAs prior to the last election they contested. As per the ADR reports, 15 sitting Lok Sabha MPs have declared cases related to hate speech against themselves. While none of the Rajya Sabha MPs has declared cases related to hate speech. Among various recognised parties, 10 sitting Lok Sabha MPs with declared cases related to hate speech are from the Bharatiya Janata Party (BJP) and others are from the All India United Democratic Front (AIUDF), Telangana Rashtra Samithi (TRS), Pattali Makkal Katchi (PMK) and All India Majlis-e-Ittehadul Muslimeen (AIMIM). Party-wise distribution of MLAs, the Bharatiya Janata Party (BJP) has the highest number of MPs, MLAs (17), five each are from the TRS and AIMIM, three are from Telugu Desam Party (TDP), two each from Indian National Congress (INC), All India Trinamool Congress (AITC), Janata Dal (United) (JD-U) and SHS, one each from Dravida Munnetra Kazhagam (DMK), Bahujan Samaj Party (BSP), Samajwadi Party (SP) and two are independent MLAs. Among the states, 11 sitting MLAs with declared cases related to the same case are from Telangana, four MLAs are from Bihar, nine MLAs are from Uttar Pradesh, four from Maharashtra, three each from Andhra Pradesh and Karnataka, while two each from Uttarakhand and West Bengal and one MLA each from Gujarat, Madhya Pradesh, Tamil Nadu, Rajasthan and Jharkhand have declared cases related to hate speech against themselves. The party leaders with declared cases connecting to the same are Asaduddin Owaisi (AIMIM) and Badruddin Ajmal (AIUDF) and Union Minister Uma Bharti. There are eight state ministers who have also declared cases related to hate speech. In the last 5 years, 198 candidates with declared cases have contested elections for State Assemblies, Lok and Rajya Sabha. Also, 141 candidates from recognized political parties and 29 candidates from unrecognized political parties have given ticked to such type of candidates and 28 independent candidates with declared cases related to Hate Speech have contested the elections for State Assemblies, Lok and Rajya Sabha.